So classy, so pure, so elegant! 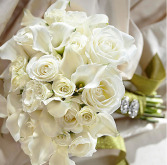 Order this precious bouquet of white roses and calla lilies to celebrate your very special day! 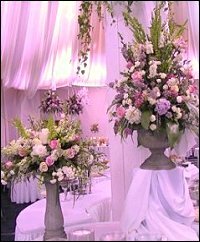 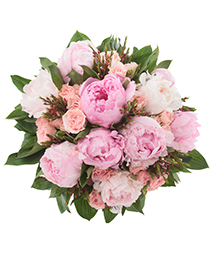 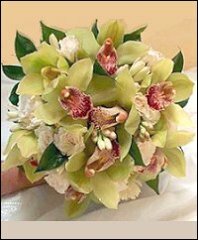 Call us, and we will make all your bridesmaids' bouquets, corsages, boutonnieres, ceremony and reception flowers, into one matching heavenly harmony of white tender petals. 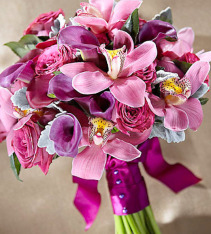 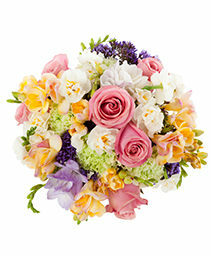 Order this stunning bride bouquet of purple roses, orchids, and calla lilies for your perfect day. Call to order matching bridesmaids bouquets for complete and stunning look. 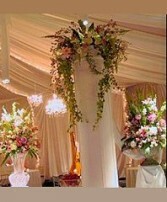 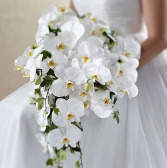 White orchids with ivy cascading bride bouquet, is a prefect choice for your special day! 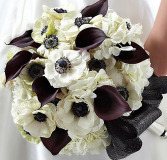 So classy, white and black bride bouquet is also so romantic! 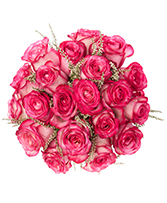 Tired of roses? 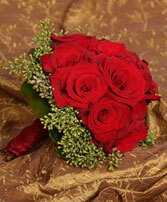 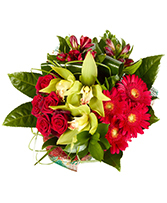 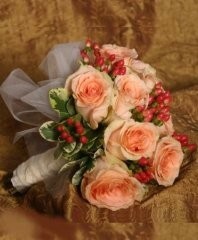 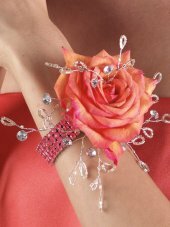 Call us, we are the best in creating custom bouquets! 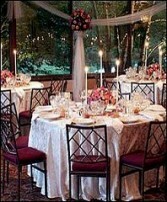 Because your special day deserves special touch!